Are you smart? Great if ''Yes''! But is your home smart too? 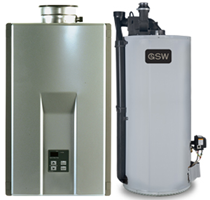 Now make your home and your Heating and Cooling system smart too by using York Smart Thermostats. 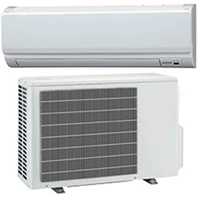 As York company itself declares that it is committed to making ''equipment that makes environment optimised and connected'' the York Thermostats perfectly prove what York says about itself. 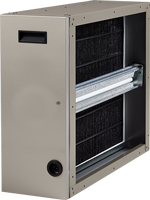 York Thermostats are one of the most energy efficient Thermostats with easy installation, easy operation, and easy repair and maintenance. 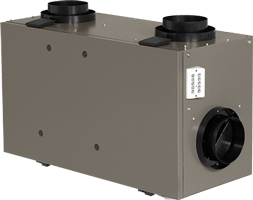 Give a quick check to these York Series Thermostats. 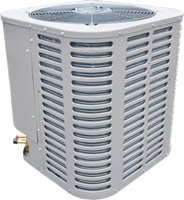 York brings more power, more control now from anywhere. With York Affinity Wifi and Smartphone control options, control your Thermostat from within or outside the home all too easily. 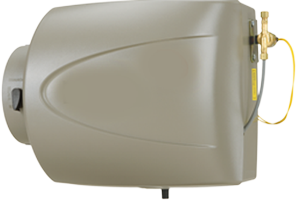 Affinity Series Thermostats offer up to 6 room/zones settings and hence make more energy savings. Here's more. Use York's application ''Thermostat 280'' and control your Thermostat using the internet from anywhere. There's a catchy hexagon interface that makes these Thermostats user-friendly as well as aesthetically appealing. 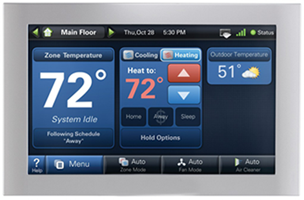 Looking for a digital Thermostats? York is here to serve. 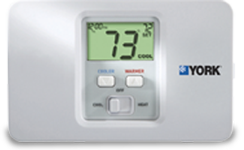 York LX Series Thermostats are magnificent digital programmable Thermostats that have the capability to be programmed for up to 7 days. That means, set your Thermostat now and enjoy it’s efficiency long long later. You're doing nothing and the energy is getting saved automatically reducing monthly energy bills. Isn't it Wow? THE series comes in York's digital thermostat category. 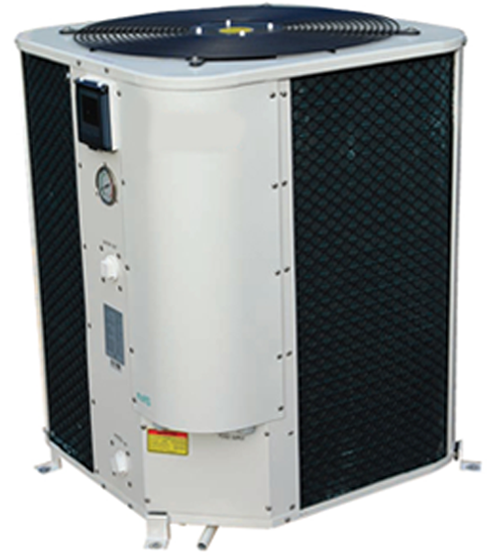 Now get comfort control and temperature settings for up to 2 heat and 2 cool stages. Easy functions, digital display, simple yet beautiful thermostats. 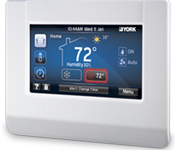 York THE series Thermostats are probably what you're looking for?